In December 2017, ICSOM announced the creation of its pilot online Conductor Evaluation Program. The program has been up and running for just over a year, and has begun to grow. Currently, the bank of evaluations includes 20 conductors evaluated by five orchestras. As more orchestras participate, the numbers in the bank will grow, making this an even more valuable tool. Orchestras complete evaluations by the following process: ICSOM delegates request an evaluation of a particular conductor by logging in to the ICSOM website (www.icsom.org), going to the conductor evaluation page, and filling in the form. Note that navigating to the conductor evaluation page without first logging in brings up the form for requesting evaluation results, so it is imperative for the delegate to log in. I then contact the delegate to confirm email addresses—if any updates are needed, the delegate will need to complete those through the ICSOM directory database. Requests for evaluations should be made prior to the concert cycle so that the evaluation can be sent out immediately after the concerts conclude. A unique, one-time-use SurveyMonkey link, will be sent to each musician in that orchestra, and all responses are recorded anonymously. One or two additional customized questions may be added, and the results from those custom questions would only be sent to the management of that specific orchestra if requested by that management. Orchestra managements may request results by going to the conductor evaluation page on the ICSOM site, and filling out the form, which includes an indemnification clause ensuring confidentiality. I will then contact the manager to let them know if there are any results for that conductor, and if so provide them in a password-protected PDF file. If the manager requests it, I can contact the Organization of Canadian Symphonic Musicians (OCSM) and the Regional Orchestra Players Association (ROPA) to check on results in their data banks. At this point things have been going smoothly, and I look forward to receiving more requests from ICSOM delegates for many more conductors and growing the bank of results for a thriving Conductor Evaluation Program. For more information on the creation and implementation of the ICSOM Conductor Evaluation Program, please refer to ICSOM President Paul Austin’s excellent article in the December 2017 issue of Senza Sordino. 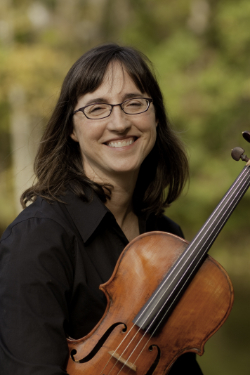 Note: the author is the Administrator of the Conductor Evaluation Program and the Assistant Principal Viola and ICSOM Delegate for the Grand Rapids Symphony.